While the space between deadlines for Iain Macwhirter finishing and publishing his post-indyref book was clearly a tight one, it still missed the event which perhaps encapsulated his central point most perfectly. With newspapers continuing to struggle against the new media revolution, it seems almost absurd that a brand new daily would even attempt a launch. Yet, the initial test run for The National (a pro-independence paper edited by Richard Walker, Macwhirter’s boss at The Sunday Herald) was so successful that it has confirmed its status as a permanent fixture on the news-stands. The very existence of The National backs up Macwhirter’s main thesis that something deep and profound has happened in Scotland, both before and after the 18 September vote. Why else would the ‘losers’ have enjoyed a bounce effect with all the main Yes parties experiencing a dramatic hike in membership: not just the SNP, but the Greens and Scottish Socialists? Meanwhile, the Better Together ‘winners’ of Labour, the Tories and Lib Dems are seemingly in utter disarray and, most dramatically in the case of Scottish Labour, apparently in catastrophic freefall. For Macwhirter, the tide has turned irrevocably towards independence and whenever the next referendum is called (the earliest touted date coming after the 2017 in-out EU vote), the result is a Yes shoo-in. While he does acknowledge that destructive internal strife might not just be limited to the No crew, his belief that Yes will ultimately prevail is concrete. 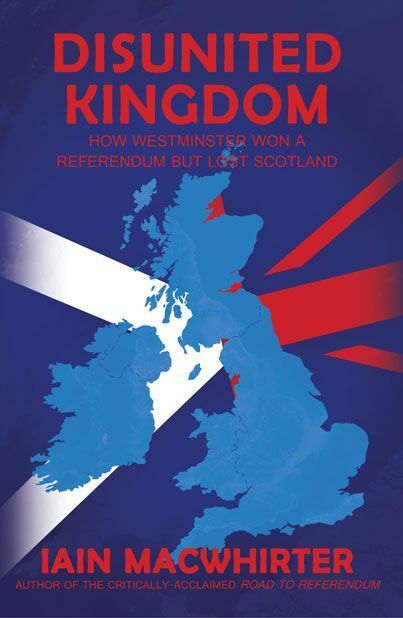 This Road to Referendum sequel is written in a sober, highly authoritative style, solid on the historical contexts and precise on the details which may have swung the result towards unionism. Things get a little bogged down when he pokes around the subtleties of federalism and it might have been easier to simply not write about Nicola Sturgeon’s looks, but as a record of this monumental period in modern Scottish history, it’s peerless.